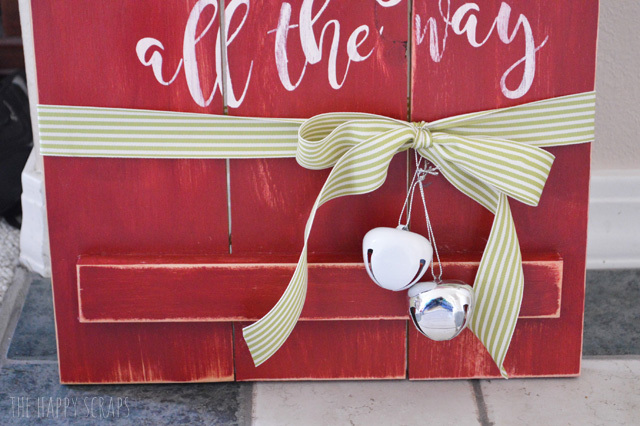 Today, I’m going to share with you how I finished this cute Christmas Front Porch Sign and show you how you can make one of your own with the help of the Cricut Explore Air 2. 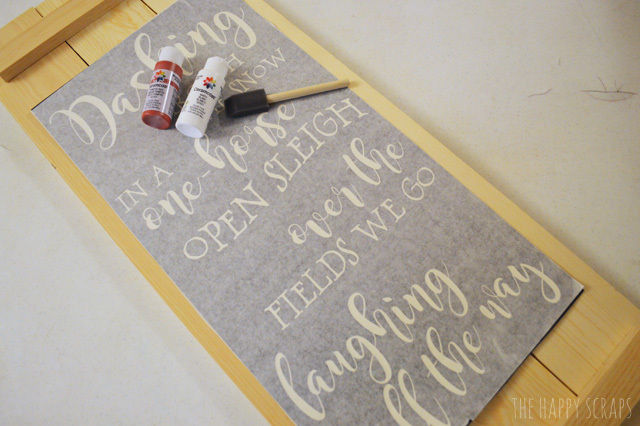 The first thing you’ll need to do is cut out your vinyl stencil. 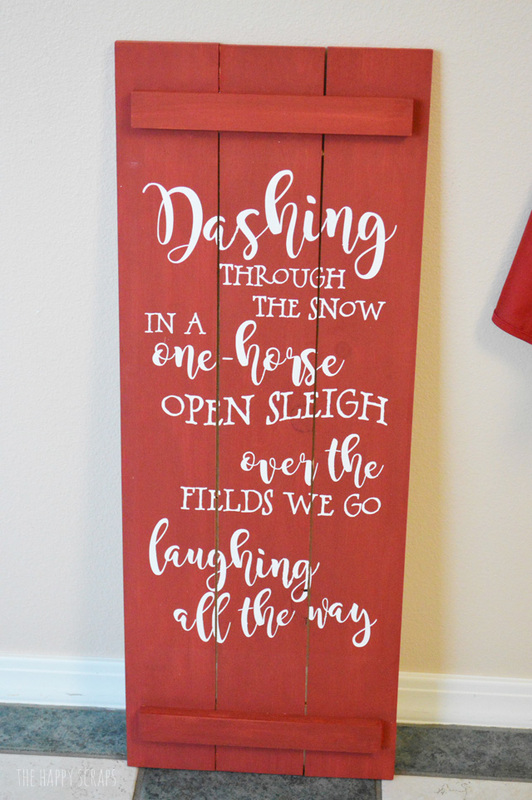 Because some of the text was curved, I chose to design my stencil in Photoshop Elements, save it as a .png file, and upload it to Cricut Design Space. This is the first time that I’ve uploaded a text image, and it worked like a charm! 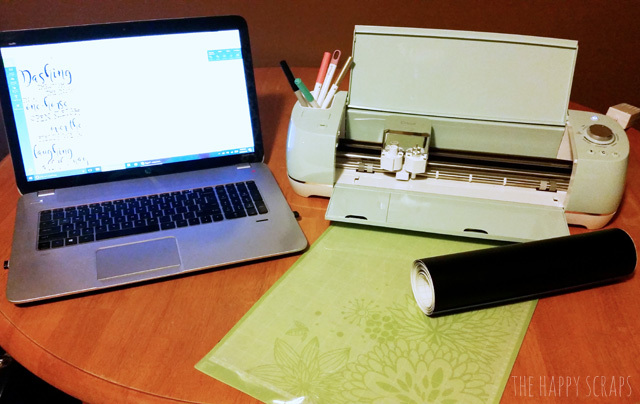 Cut your vinyl out on the Cricut Explore Air 2. Weed the vinyl using the weeding tool, then place transfer tape over the top of your vinyl stencil. 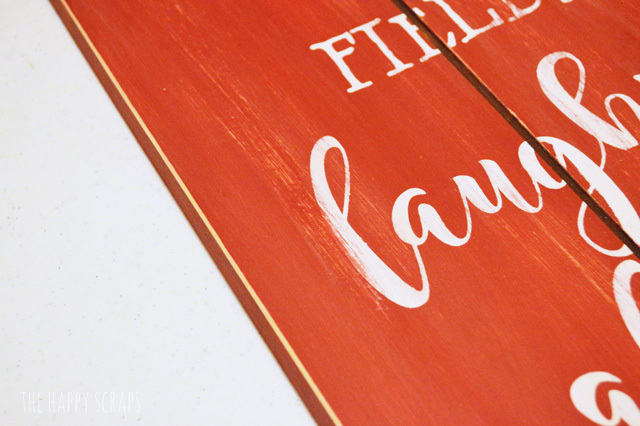 Paint your wood sign using your red paint. 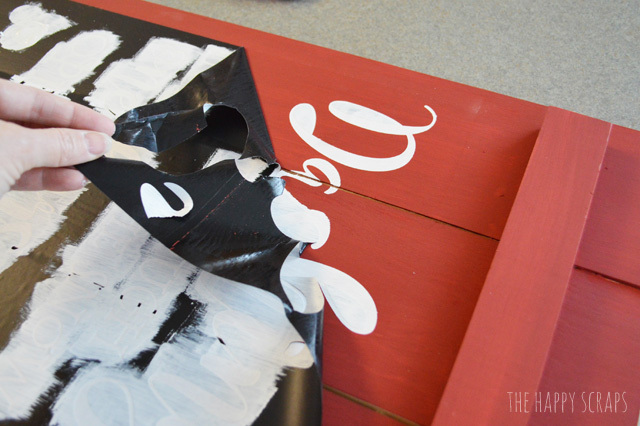 Once your paint is dry, apply the vinyl stencil to the front of your sign. With a vinyl piece this large, you may need an extra set of hands. Make sure you get the stencil pushed down tightly all over the sign. 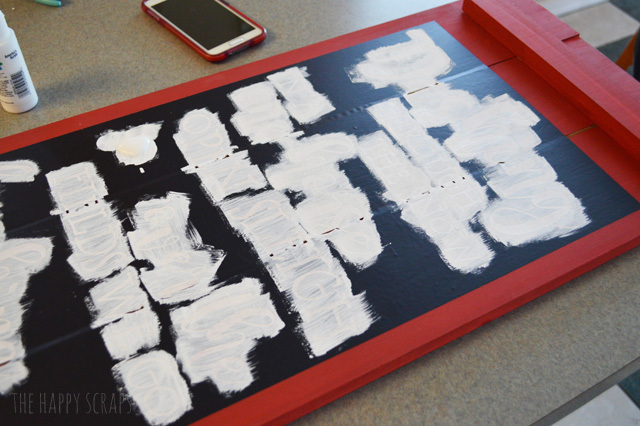 Using your white paint, carefully paint your letters. 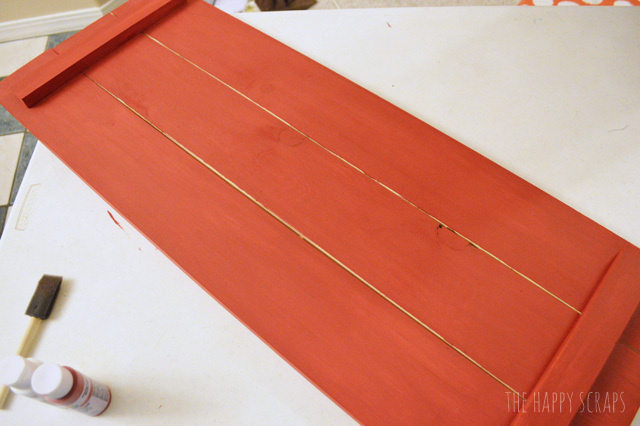 Because you’re painting white over the top of the red, it may take two or three coats of the white. Once you’re finished painted the white, carefully peel up your vinyl stencil. Once I got to this point and I could really start seeing this project come together, I was getting excited! I took it out in the garage and I lightly sanded the whole sign using my electric sander. Here is a little better look at some of the distressing. To finish it off, I sprayed sealer spray over the entire sign and let it dry. Then I tied a ribbon around the bottom and added some jingle bells. Now I’ve got to find the perfect spot on my porch for it. 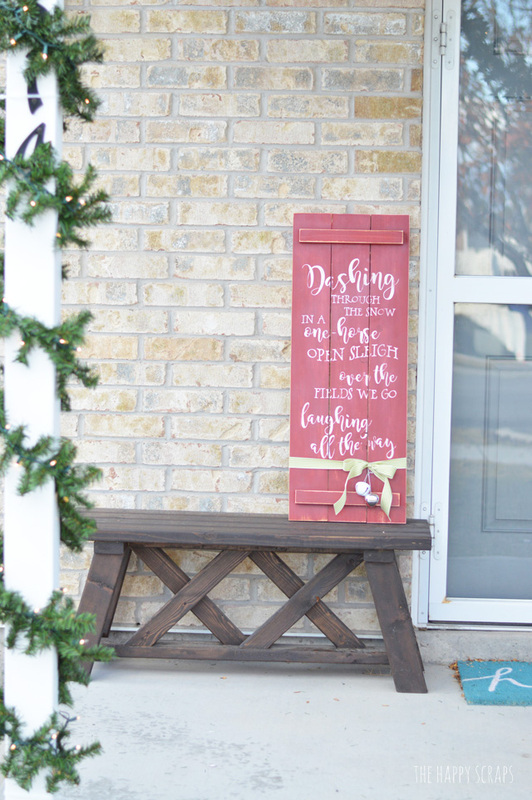 I’m trying to decide if I want to set it up on the front porch bench or if I want to put it in the corner on the other side of the door. I set it up on the bench to take these pictures and I kind of like it there. It goes so well with the greenery that I’ve got up on the porch. 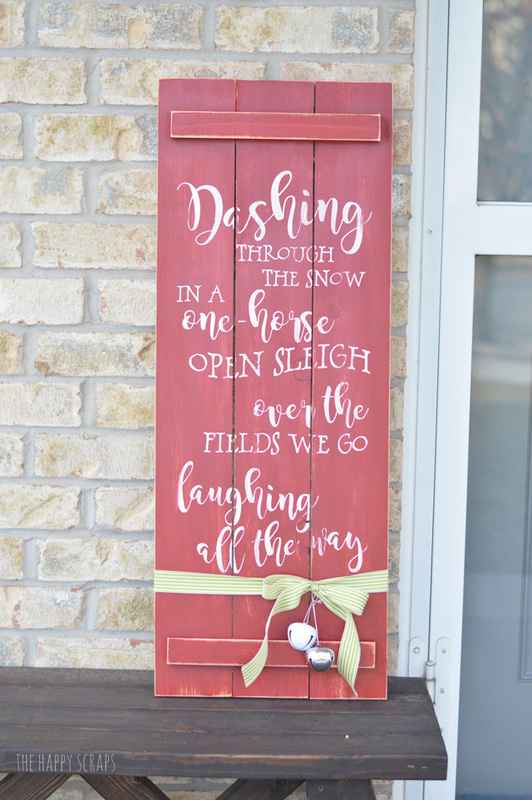 Where are you going to put your sign on your porch? 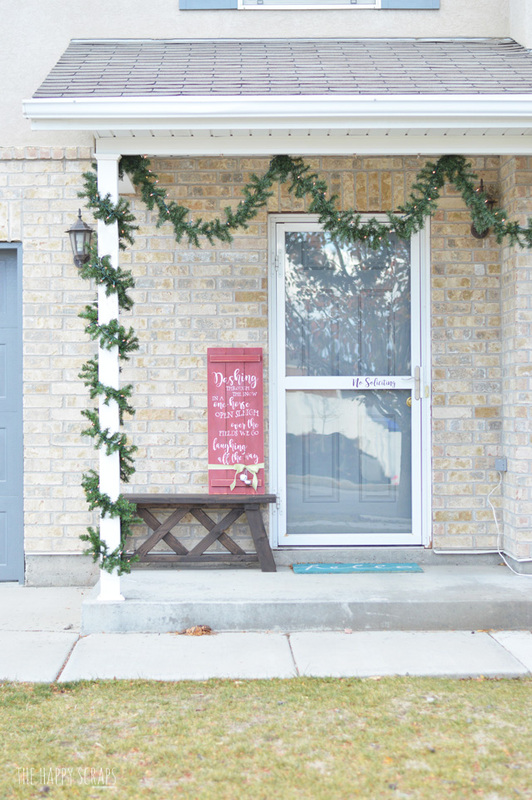 I’m seriously giddy about the way this cute sign turned out! And I certainly couldn’t have done it without the Cricut Explore Air 2. Oh Amy I just adore this project and just love how it turned out! Such a fun idea! Super cute!! I totally need to make this!! I love this! My cricut only cuts 12×12 mats, how were you able to cut out such a lathe piece of vinyl? Or was it did in multiple sheets? What Cricut do you have? If you have the Expressions or Explore (or any that cuts 12″ wide), you would be able to cut up to 12×24. You have to purchase a larger mat for it. 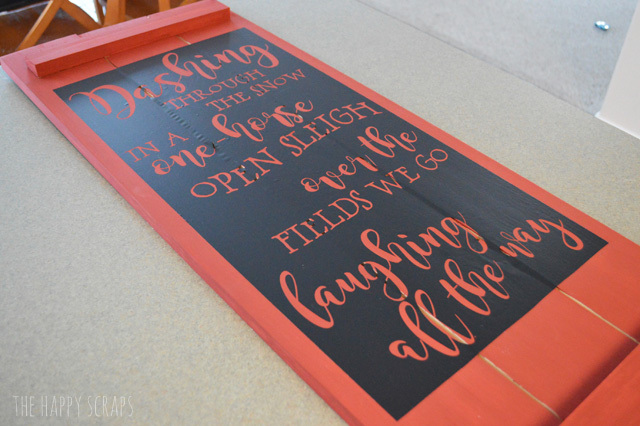 You could certainly cut it in two pieces, depending on how the wording is laid out on the mats, and then just piece the vinyl together on the wood piece. Just wondering what font you used or was it a file? Love the sign and great job on the bench!!! is there a tutorial for the Cricut Explore 2 that teaches you how to create in another program and upload it to Cricut design space? Did you buy wood and put together the sign or did you buy a blank sign from a craft store? What is the dimensions of the sign? 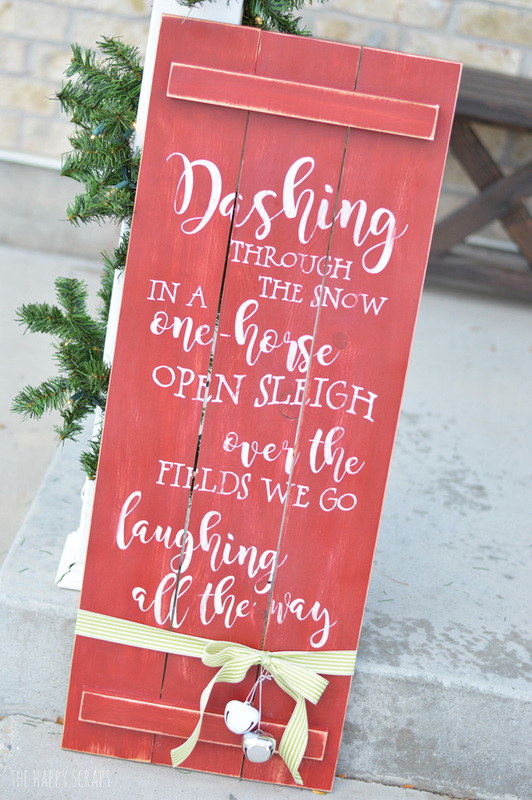 I bought the wood sign that I used for this project, but it would be pretty simple to make a similar one. I’m not sure the dimensions off the top of my head, but I think it’s about 13″ wide and about 3′ tall. 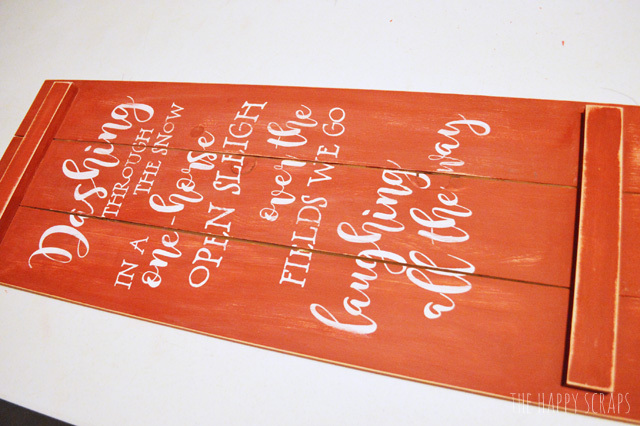 I used a piece of vinyl for the entire stencil that was 12″ x 24″. I hope that helps. I love this sign, it did come out great!